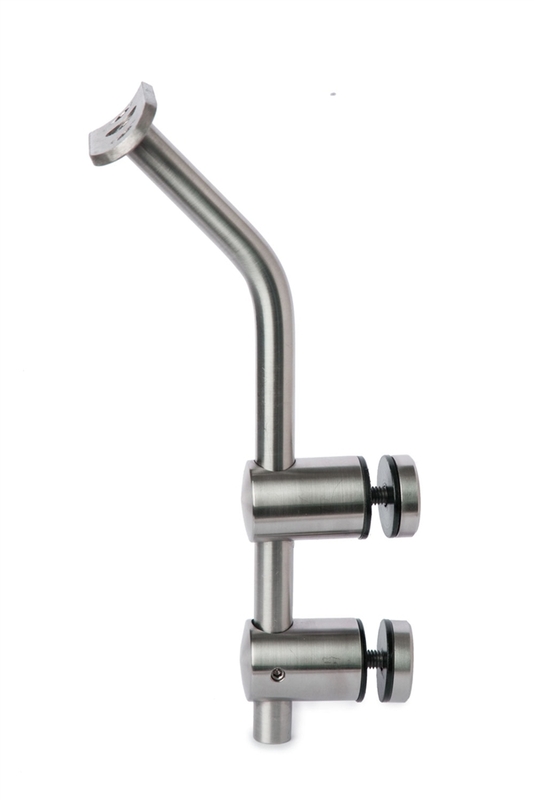 This INOX Handrail Support has a mounting plate and features a 0.01" hole diameter. Stainless Steel Handrail Support For Tube 1 2/3" Dia., Stiff, Adjustable in Height Satinized Stainless Steel Handrail Support 2 3/4" Dia. x 1/2" Dia., Pivotable, for Tube 2" Dia. Stainless Steel Handrail Support Includes Glass Clip and Mounting Plate for Glass 5/16" to 7/8" thick Stainless Steel Handrail Support Pivotable, Satin Finish, for Tube 1 2/3" Dia.